This is a small sampling of mostly UI and UX work I've done throughout my career. In addition to the specific projects here, I've worked in many different capacities in technology over the years. I've spent the bulk of my career in-house, embedded in a number of different teams including engineering, UX, web, design, and product. This has allowed me to view the design process through different lenses giving me both a unique perspective and fluency in design communication. At DealerRater, I'm the sole designer responsible for three complex interfaces, two peripheral and simple interfaces, and one app, as well as the creative direction of the DealerRater brand. As a design system enthusiast, it's been a challenge to advocate for consistency with such a lean design "team" so I go for small wins adding consistency in an iterative manner. The brand was in need of a refresh and the existing guidelines were both outdated and not being used. The guidelines were created to begin the process of updating the DealerRater brand. The full set of brand guidelines is a living document, updated based on needs for further definition. 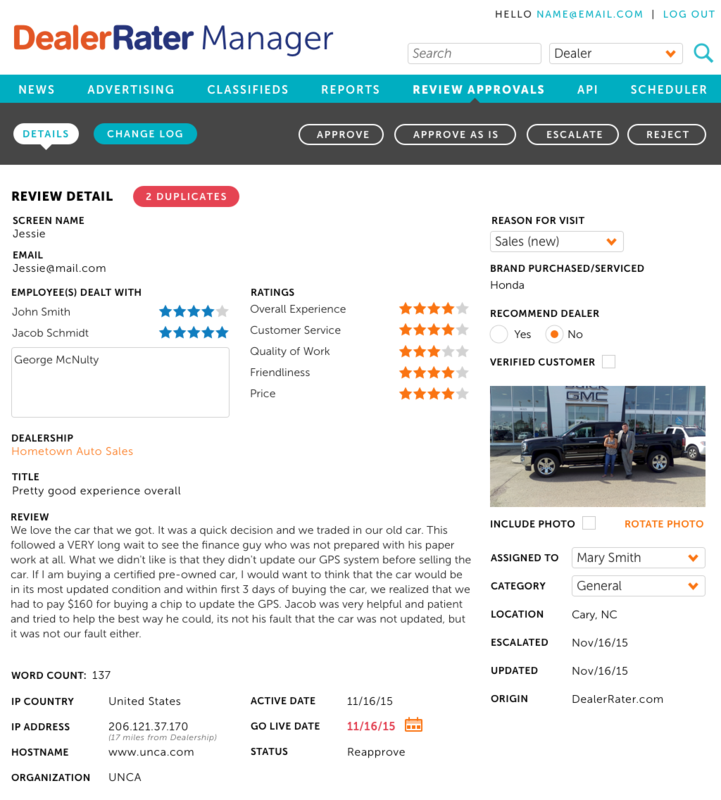 DealerRater content readers have the challenge of reading and approving every review submitted to the site. With more than 100,000 reviews submitted per month, it was imperitive to remove as much friction from the reading interface as possible. In 2016 I embarked on a full-scale redesign of the interface and flow of our review approval system. Using feedback from our team of readers, I designed a prototype for them to use to inform for further iteration. The end result was a design and flow that increased the average number of reviews read by 50% from 60 per hour to 90 per hour. This is one of many mockups created for this project. The design was created by identifying what elements of the original interface caused the most friction and by visually prioritizing the information the readers needed read or scan quickly. 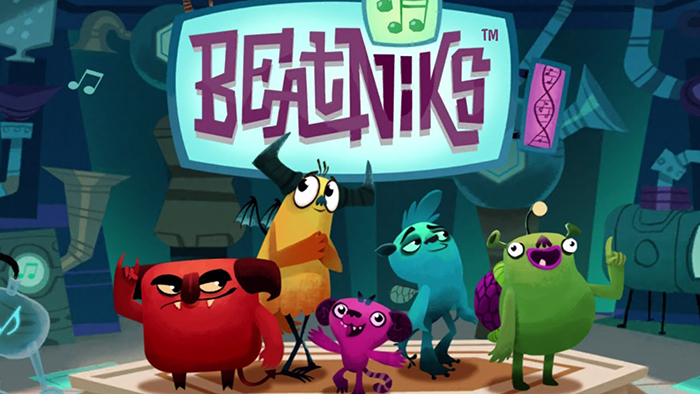 Beatniks is a pet simulator mobile game where the music you listen to effects the development of your pet. As the UI designer for the game, I was responsible for the visual design of functional elements based on the style defined by the game artist. 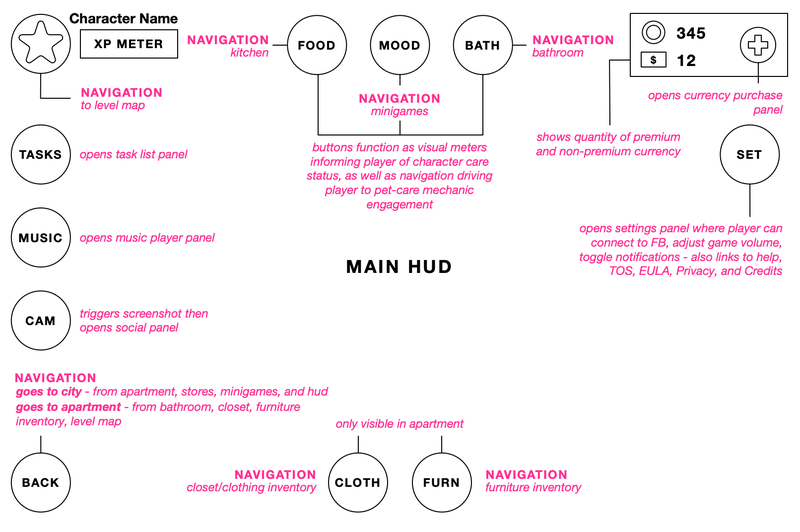 I was also responsible for the UI design including flows, wireframes, observing and distilling play tests, and ensuring visual elements were obvious enough when the players were distracted by adorable characters. This is the title screen for the game. As much as I'd like to take credit for this beautiful piece of art, it was done by Jamie Mckiernan. 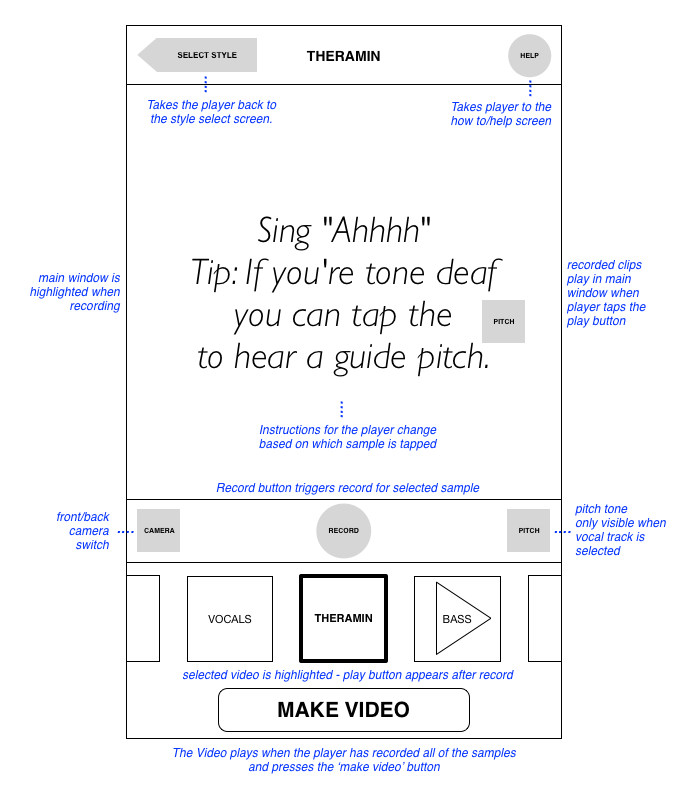 This is a wireframe for the heads up display for Beatniks. 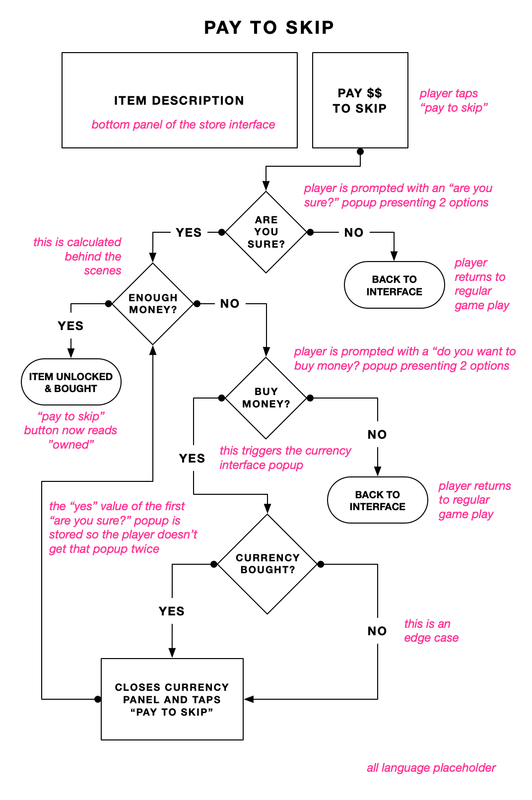 This flow was used to define 'pay to skip' functionality. 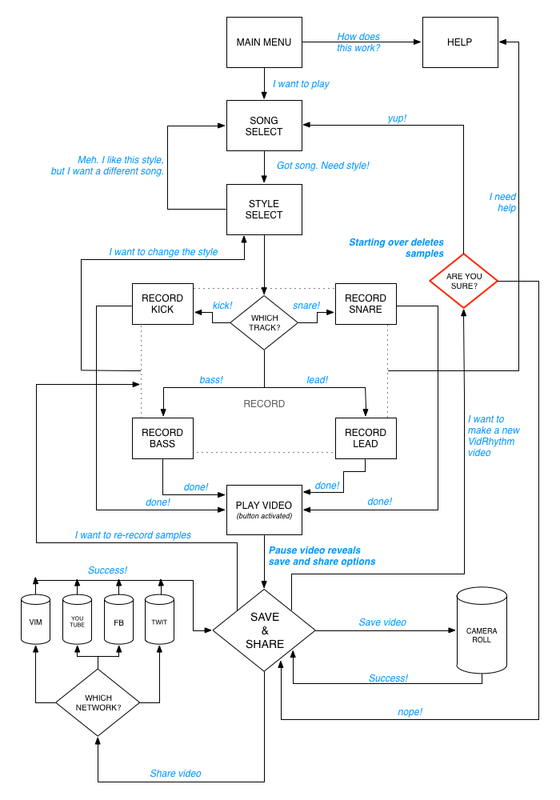 The engineers asked for a flow chart that covered all cases to ensure that they we're building in the right logic. 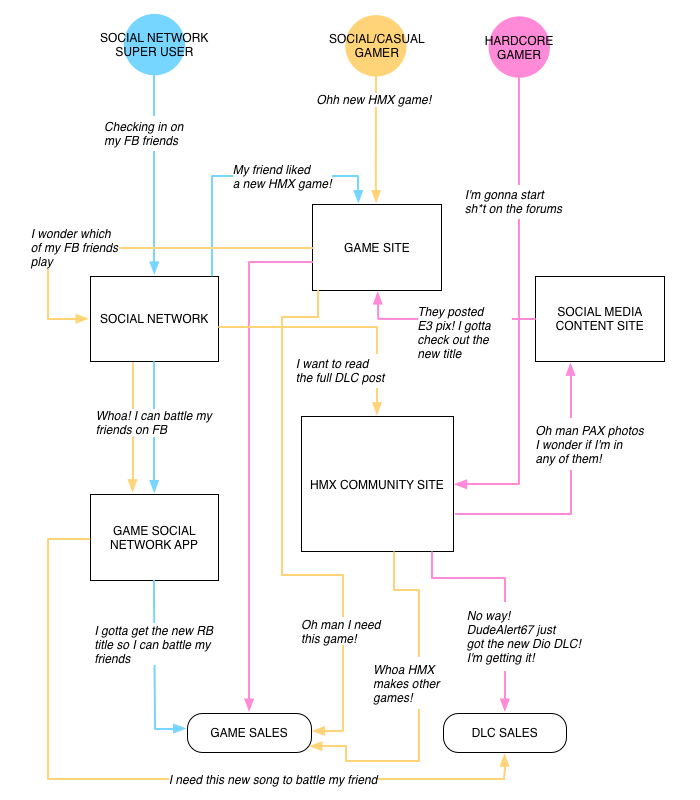 For many years, at Harmonix we developed web experiences for individual game franchises (some simple, some complex). With a shrinking web team and shifting priorities, after assessing business goals, franchise needs, and the maximum scope that we could achieve with a small team, I proposed an umbrella site that would bring all of our franchise sites under one domain with a centralized CMS system that would support frequent content updates without pushes. Working closely with another developer and the content manager, we iterated on design from sketches and white boarding to digital design and code trying to find the best solution. This was presented with the original pitch to illustrate the possiblities of a new site. This helped us get stakeholder buy-in. Rock Band World was a companion experience for our console game within the Facebook framework allowing players to access their player stats, create playlists, challenge other players to competition, and participate in group activities. Desiging for Facebook required me to work creatively inside limiting technical perameters and to pivot quickly and frequently. 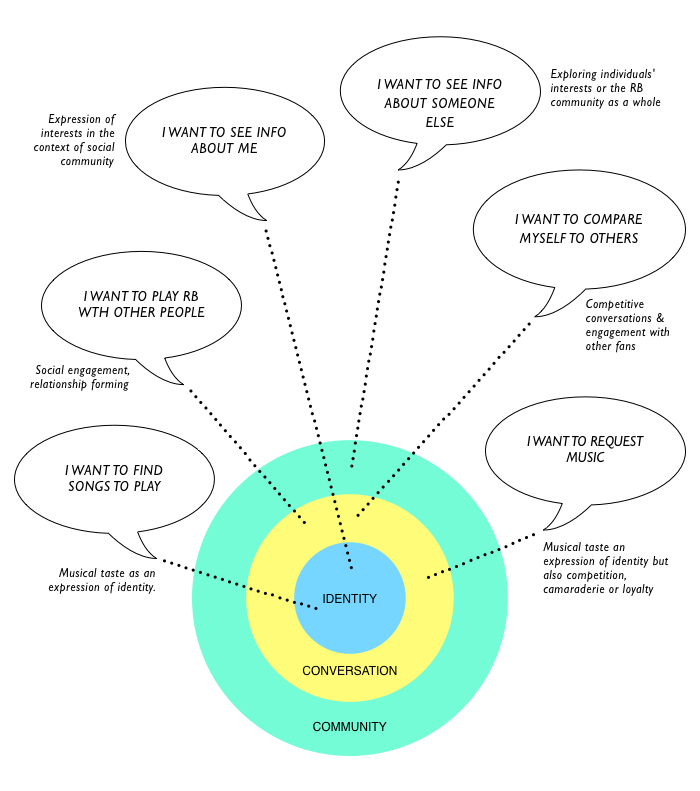 This was created as a sort of high-level collective empathy map to give us insight about our potential users. 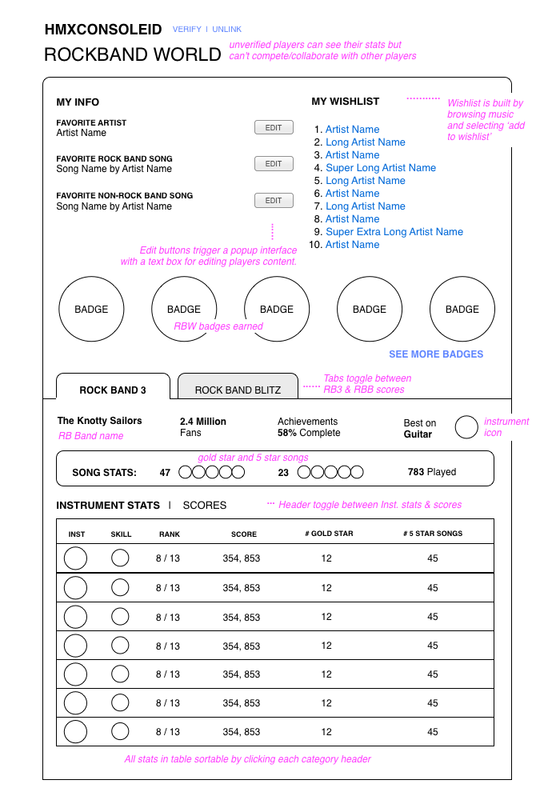 This is a wireframe for one of the pages of the Rock Band World Facebook App. I was responsible for the UI and shell/visual design for VidRhythm. This project fell somewhere between designing a mobile app and designing a mobile game. I worked with another designer on the iTunes icon and the logo design. VidRhythm was runner up (right behind Instagram) for iTunes Rewind App of the Year in 2011. The app has been downloaded by more than 2 million people. 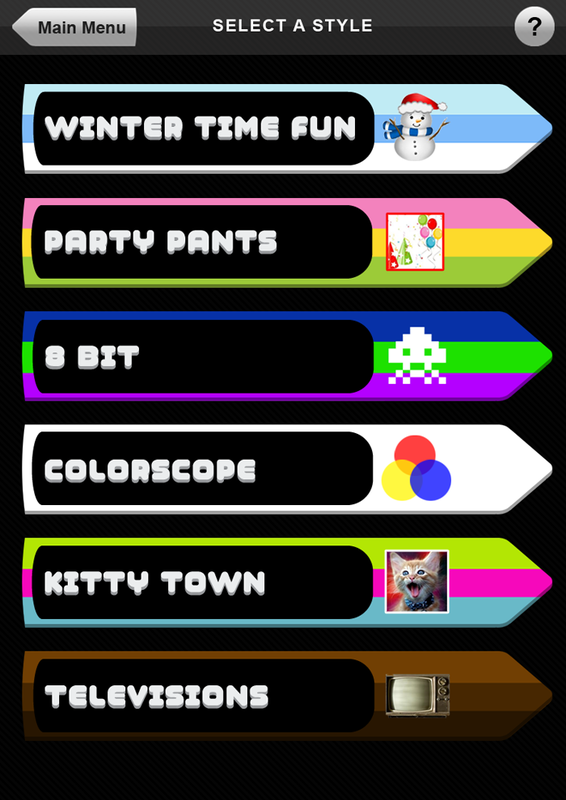 This is a mockup for one of the screens in the app. This is a wireframe for the record screen of the app. This is a map of the non-linear record flow.